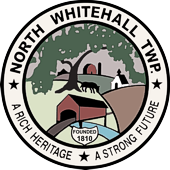 North Whitehall Township is governed by a three member Board of Elected Supervisors. Second Class Townships in Pennsylvania may have a Board of three or five members. Board members are elected to six year terms on a rotating basis. This helps avoid a complete membership turnover and adds continuity of leadership. The current Board is comprised of Chairman Ronald Heintzelman, Vice Chairman Mark Hills and Board member Dennis Klusaritz. Other than the Chairman being responsible for running the Board meetings, all Board members have the same responsibilities and voting powers. The primary role of the Board is to budget and legislate. Each year the Board must approve a budget and determine any fees or taxes to support the approved budget. The Board recently approved the 2018 budget and has not increased the property taxes. In addition to the Budget, the Board’s other primary function is to enact legislation. 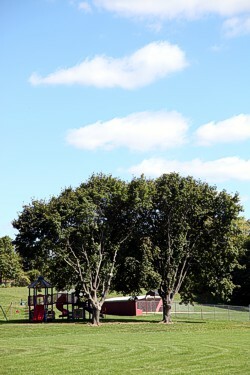 The Township laws are known as Ordinances and must go through a formal adoption process. Each ordinance or changes to an ordinance must be presented to the Board and be approved for advertisement. The Board must conduct a public hearing on any ordinances before it may be voted on for approval. Any resident who would like to see a new ordinances or changes to the current ones may submit a request to the Township Manager. The proposal will be researched and given to the Board for their consideration. The three supervisors do not represent any particular section of the Township as had been the case many years ago. They all represent all residents and you should feel free to contact anyone of them to discuss Township business. Second Class Townships in Pennsylvania permit elected Board members to also be appointed to a working position. There is no differentiation between a Supervisor who works daily at a position in the Township and a Supervisor who does not. Their responsibilities as a Board member are the same. They are elected as supervisors and may be appointed to a working position by their fellow Board members. Compensation as a Board member is determined by Second Class Township Code. Salaries for a supervisor in a township appointed job is set annually by the elected Township Auditors. Currently the Township has one supervisor who also works for the Township.